1. 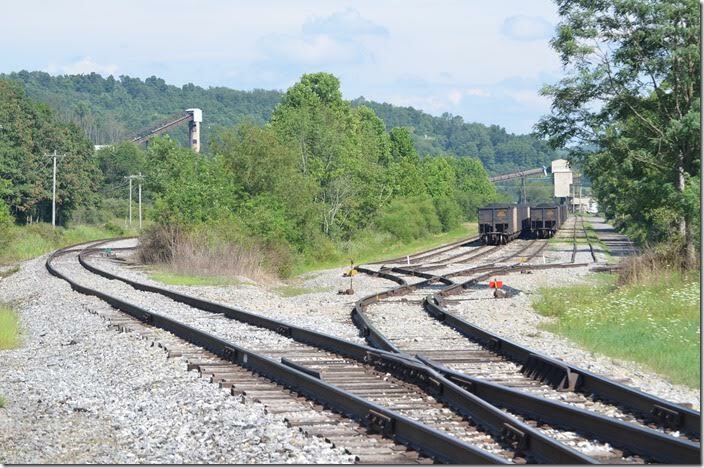 Appalachian & Ohio Railroad has an engine terminal of sorts in Buckhannon WV. A&O bases a small squad of leased “GP38-2s” there to handle general freight and pushers (coal trains are handled by run-through CSX power). 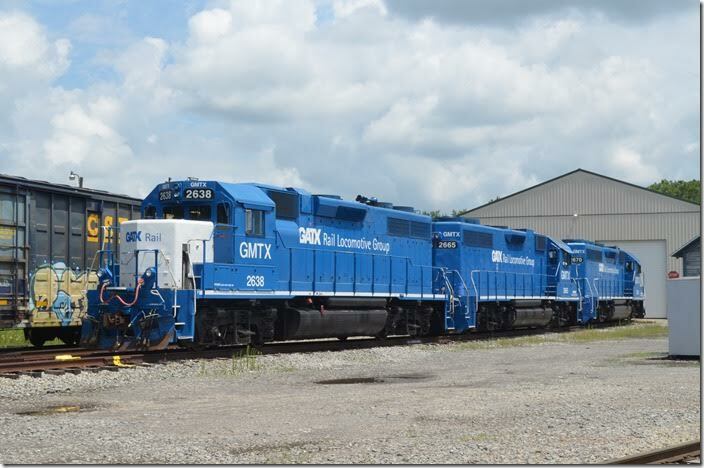 All of them appear to be upgraded GP38s or GP40s. There was one other Geep that I didn’t photograph. GMTX 2631 2638-2665-2670. Buckhannon WV. 2. 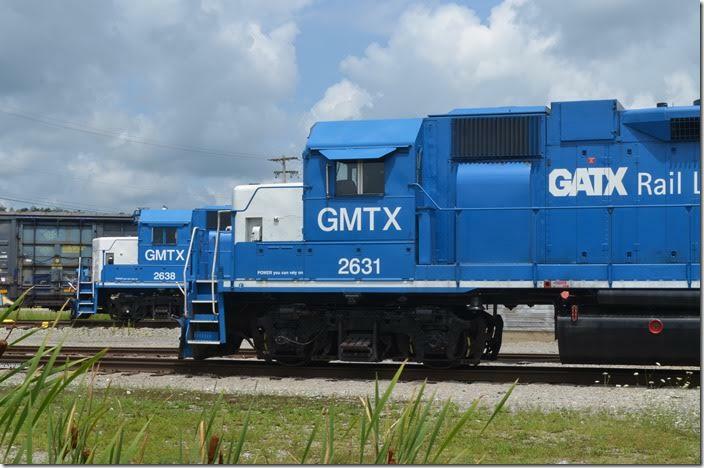 GMTX 2638-2665-2670 are parked in front of the shop. 2665 was originally B&O 4817; 2670 was B&O GP40 3690. 07-27-2016. GMTX 2638-2665-2670. Buckhannon WV. 3. 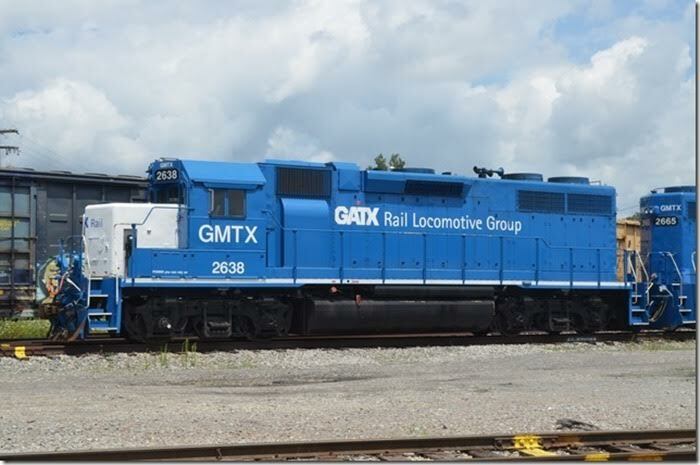 GMTX 2638 GP38-2 is former CSX 2011, nee-B&O GP38 3811. Buckhannon WV. 4. 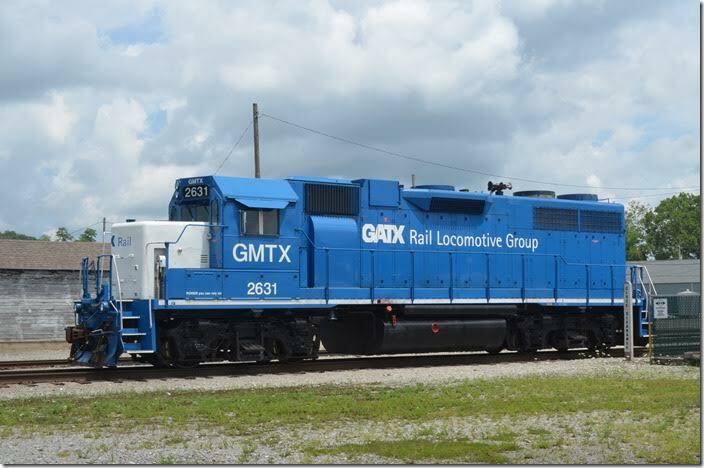 GMTX 2631 GP38-2 is ex-CSX, exx-CR and nee-PC. Buckhannon WV. 5. GMTX 2631 2638. View 2. Buckhannon WV. 6. 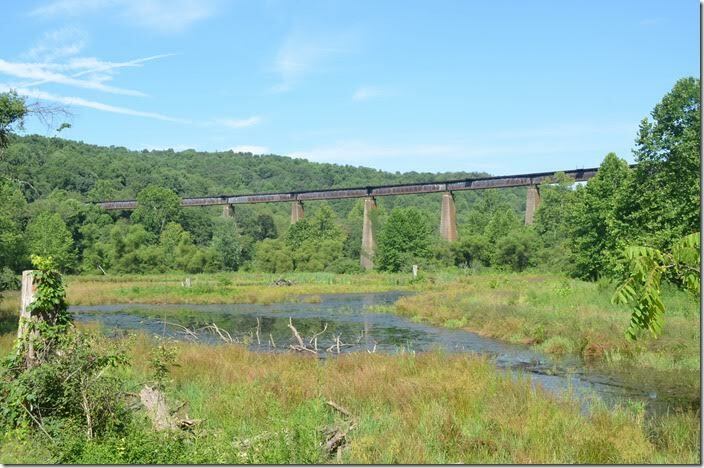 Pleasant Creek trestle was perhaps the most noted landmark on the former B&O Cowen Subdivision none miles south of Grafton. 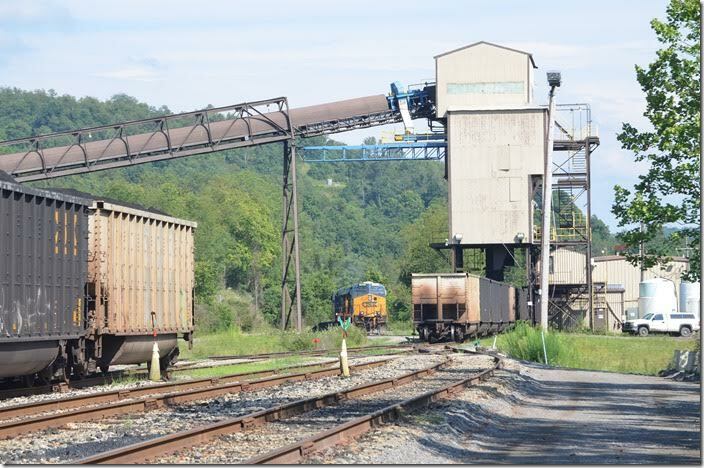 It was built in the 1930s when B&O relocated about 11 miles of line south of Grafton for construction of a dam and Tygart Lake. A&O Pleasant Creek trestle. 7. 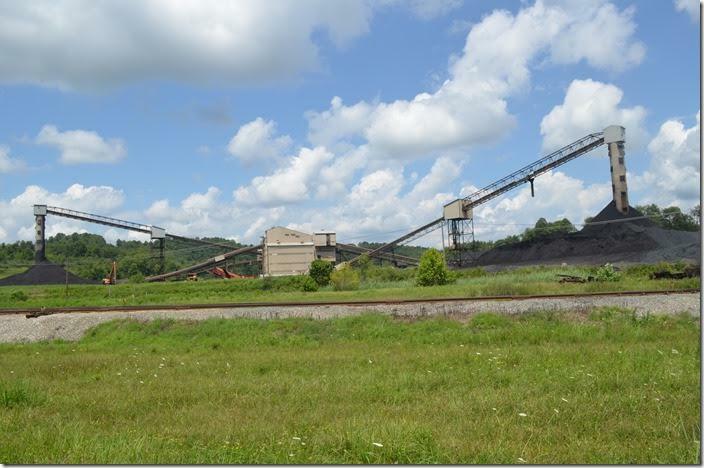 Arch Coal’s Sentinel Mine is located less than a mile off US 119/250 on the Berryburg Subdivision. This was formerly Republic Steel’s Kitt Mine. 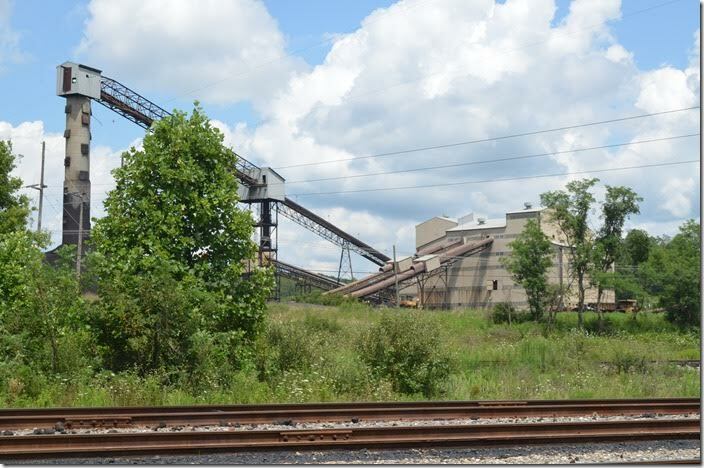 Presently it is the most productive mine on the Appalachian & Ohio. 07-27-2016. Corders Crossing WV. 8. Arch Coal Sentinel Mine. View 2. Corders Crossing WV. 9. 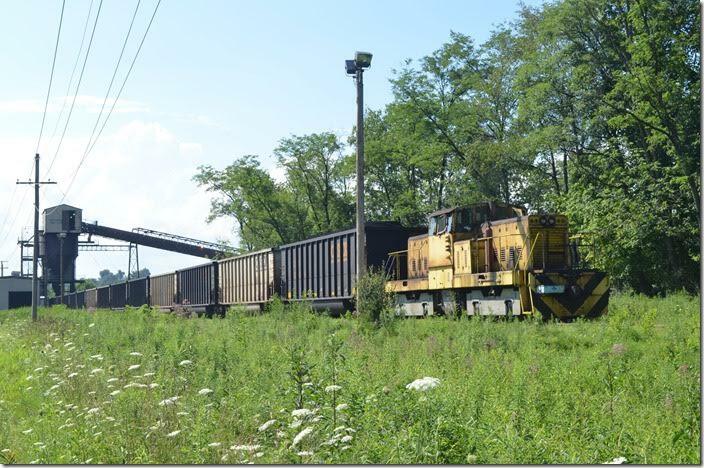 West end of the Sentinel mine siding on Sunday, 07-31-2016, with part of train already loaded. Arch Coal Sentinel Mine. Corders Crossing WV. 10. 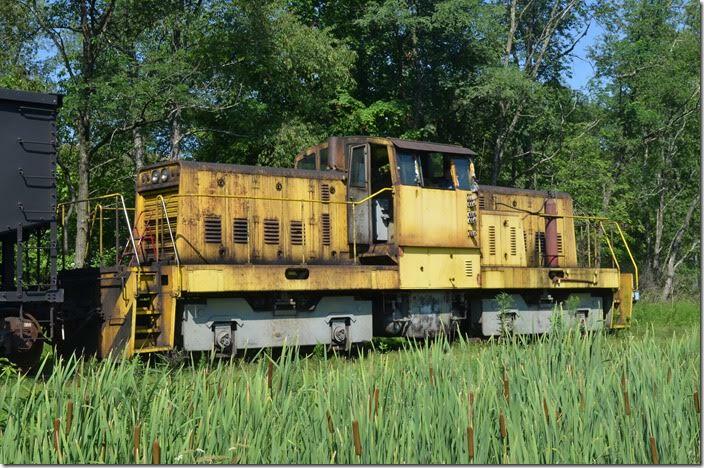 CSXT 303724 hopper. Arch Coal Sentinel Mine. Corders Crossing WV. 11. Four hour load-out for 130-car train with no weighing system. Arch Coal Sentinel Mine. Corders Crossing WV. 12. Arch Coal GE SL-110 600 HP switcher. Although it has remote-control lights on the side of the cab, an employee was running the engine. 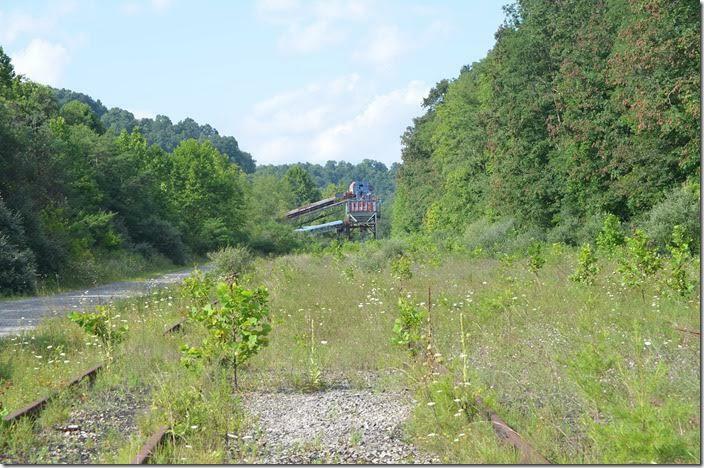 Sentinel Mine WV. 13. Arch Coal SL110 switcher working. 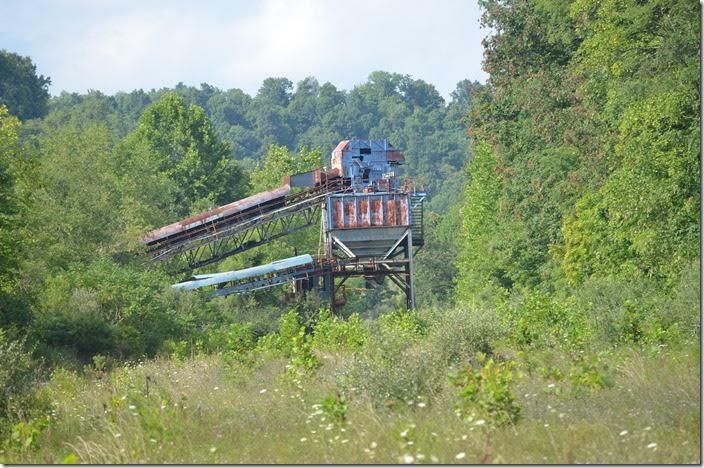 Sentinel Mine WV. 14. A&O job GN1 brought the empties to Sentinel with CSX 920-877. Looks like the train is almost loaded. An A&O crew will take it back to Grafton. Sentinel Mine. Corders Crossing WV. 15. Energy Marketing’s Century No. 2 tipple just off US 119 at Volga. 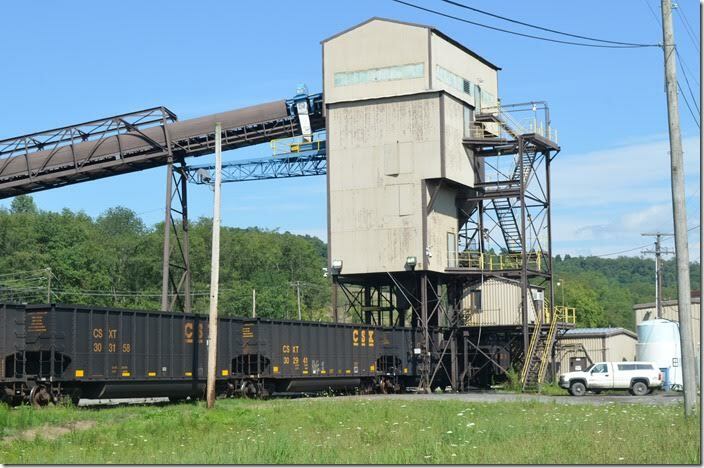 Bethlehem Steel operated this as Century 102 in the late 1980s. 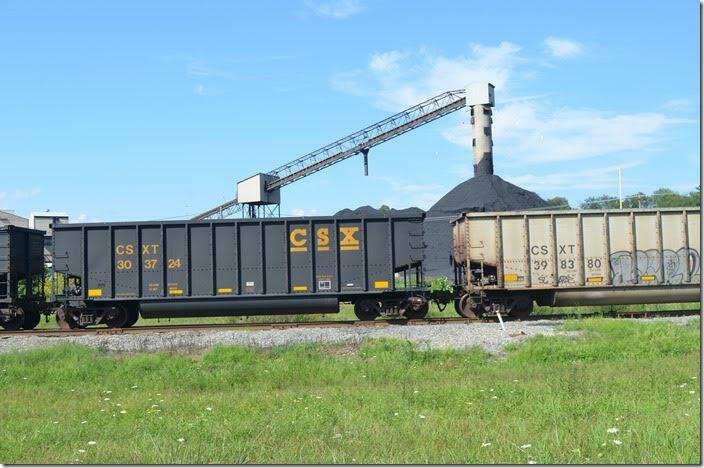 They used an EMD switcher/slug to shuttle raw coal between this tipple and the prep. plant at Century. Energy Markeing Century 102. Century WV. 16. The Century SD was removed west of the US 119 crossing, but the rest looked in fairly good shape having not seen a train in years. This is a spur off the Century SD. Energy Marketing Century 102. View 2. Century WV. 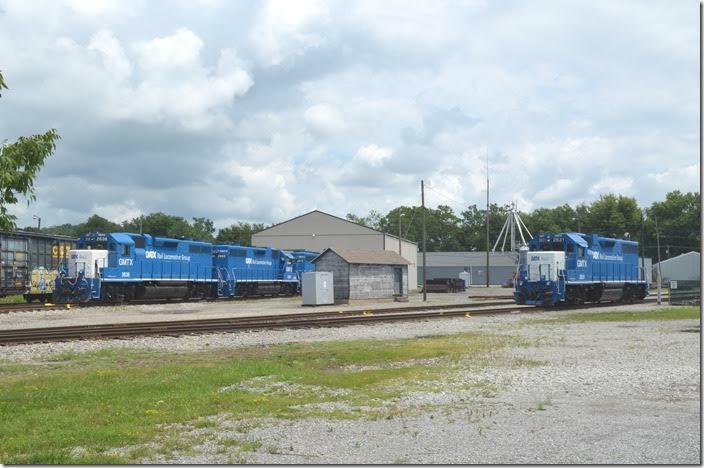 The A&O is a subsidiary of P&L Transportation which also has the Paducah & Louisville and Evansville Western in the fold.